Since my last research update my subscription to Footnote (Fold3) has expired and I dropped my monthly U.S. Ancestry.com expense. I've still managed to do a great deal of organizing, publishing (mostly to Flickr), and research utilizing subscription free services. I also did a major update to The KANE Family entry. Please contact me if you have information to contribute to our family tree. Thanks! Dozens of Chicago and Denver City Directory Listings for my HANNAN and KANE relatives. Several Chicago Tribune Newspaper articles and notices for my HANNAN and KANE relatives. Updated numerous Geni Profiles; added documents and events; merged several duplicates; and removed some unrelated matches. Added several Find A Grave Memorial pages and updated several others. Submitted several record corrections to Ancestry.com. Added several comments to records on Ancestry.com. 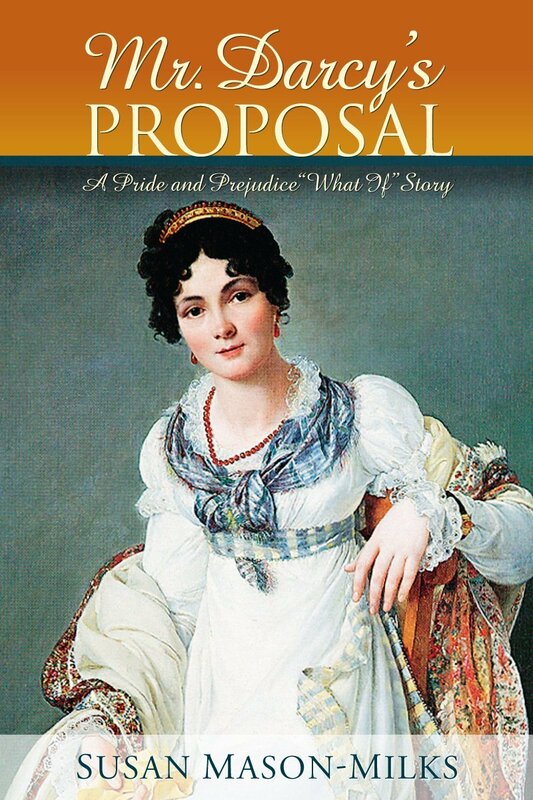 This retelling of Pride and Prejudice asks “what if” events prevented Fitzwilliam Darcy from proposing to Elizabeth Bennet that day at Hunsford parsonage? Darcy arrives with marriage on his mind, only to find that Elizabeth has just received news her father is critically ill and probably dying. In the process of offering his help to her in traveling home, he discovers what she really thinks of him—and it’s not good. Should Darcy deliver Elizabeth home to be with her family and then disappear from her life, or will he propose another kind of help? Will Elizabeth be willing to sacrifice her future happiness to save her family from financial ruin? Or, do she and Darcy, two very stubborn people, have a chance of finding happiness together? " Yes, I very much liked this book, but more importantly after reading it I find myself even more enamored of Elizabeth Bennet and Fitzwilliam Darcy. I think this is a true testament to how beautifully Susan Mason-Milks crafted this "what if" version of Pride and Prejudice. I purchased it on a whim, which is so unlike me. I am so pleased I made that impulsive decision. To be able to spend so much time with Lizzy and Darcy was heavenly! I so loved being privy to what each was thinking and why they made the choices they did. Although I found it beautifully written I felt it was thankfully "modernized" to a degree. That allowed me to follow the story more easily instead of struggling with the words, as I did when I read the original work several years ago. When Darcy entered the sitting room, Elizabeth was standing at the window. Crossing the room in a few quick steps, he put his arms around his wife. It was something he was learning to do when she was out of sorts. At first, he has tried offering solutions to her problem and he could not understand why this sometimes made her even more upset. Finally, he discovered quite by accident that simply putting his arms around her and listening was all that was generally required. As I neared the end of the book I found I was nowhere ready to leave Lizzy and William. What to do? Watch my favorite "movie" ever - the five hour BBC mini-series, or read Pride and Prejudice again. I think both...in short order! 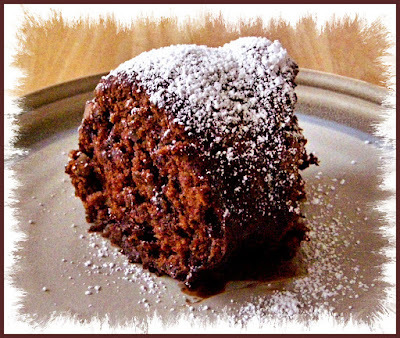 This is the first dessert I've made from the recipe book, have your cake and vegan too by Kris Holechek. I bought the book in August and just today got around to picking a recipe and trying it out. It is very tasty as is, but if I make it again I will test it before the called for 38 minutes, as I think it is slightly over-baked. I might also remove the walnuts and double up the semi-sweet chocolate chips. I mistakenly bought mini-chips but using them was easier than chopping regular size chips. I reserved some of the chocolate syrup to pour over the first few slices. I poked the heck out of the cake, but it just didn't absorb it very well. It has a lovely texture, color, and aroma. Hard to go wrong with chocolate, right? 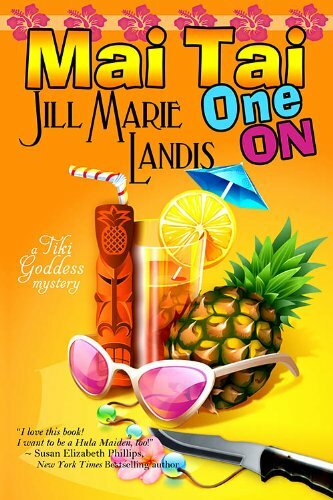 "Six months ago, if anyone would have told Em Johnson she'd end up divorced, broke, and running the dilapidated Tiki Goddess Bar on the magical North Shore of Kauai she would have told them to shove a swizzle stick up their okole.As if all that isn't bad enough, when an obnoxious neighbor with a grudge is found dead in the Goddess luau pit, suspicion falls on Em and the rest of the Goddess staff. With the help of a quirky dance troupe of over-the-hill Hula Maidens, Em and the cast of characters must ban together to find the killer and solve the mystery before the next pupu party. JILL MARIE LANDIS has written over twenty-five novels, which have earned awards and slots on such national bestseller lists as the USA TODAY Top 50 and the New York Times Best Sellers Plus. She is a seven-time finalist for Romance Writers of America's RITA Award in both Single Title and Contemporary Romance as well as a Golden Heart and RITA Award winner. She's written historical and contemporary romance as well as inspirational historical romance, and she is now penning The Tiki Goddess Mystery Series, which begins with MAI TAI ONE ON." I believe I was looking for a comical mystery in the league of the Stephanie Plum books. Although I feel it is not the same caliber of fun the Plum series is, it was good enough for me to finish. There were a few lines of dialogue that were cleverly "cute" and some of the characters were fairly genuine. Many were too over-the-top eccentric for my tastes, but others were likable enough. The mystery was on the light side, and an obviously unpleasant character turned out to be the murderer. So, not much of a whodunit. The Island culture and language felt like a friendly character making appearances throughout the book. All in all it was a cute bit of fluff and not a total bust.